By now you should have a good understanding of the essential ingredients of an improvised line. Well now we are going to take it further with non diatonic passing tones and chromaticism. This is where you can get creative and you will understand that there are no wrong notes. A non-diatonic tone, is a tone that is outside of the scale of the chord you are playing. So for example, Bb7 takes the Bb Mixolydian scale, and the non diatonic tones would be the b9, #9, #11, #5 and maj7. If we play these tones over the chord, you can hear they clash and that they are dissonant. But that doesn’t mean that you can’t play them. In fact the opposite is true. You can play them but with caution, and make sure you are resolving back into the more consonant sounding chord tones. Think of the chord tones as a safe place. And think of these non diatonic tones as very interesting places that you can go and visit, but just temporarily to add a bit of spice and interest to your lines. 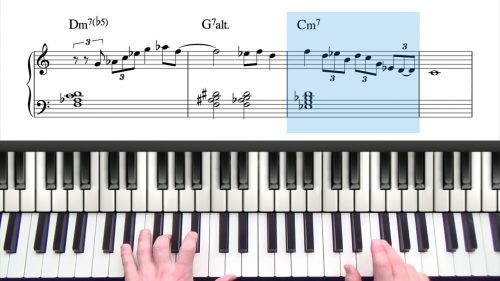 You can take non-diatonic improvisation a step further by using the chromatic scale. I’ve mentioned before that chromaticism is your best friend and it can get you out of some tight spots whilst improvising. So that’s the end of lessons on chord tone soloing, approach patterns and passing tones. In the next lessons in the blues series we are going to introduce the blues scale — both the minor and the major blues scales — and then we’ll also explore blues licks and riffs. This is where things get real bluesy and funky to add that extra dimension to your solos. To get a deeper understanding of this lesson, check out the lessons on the melodic minor modes and the introduction to transcription tutorial. In this section of the tutorial we are going to explore how you should be developing your swing feel and also your ability to improvise in general. 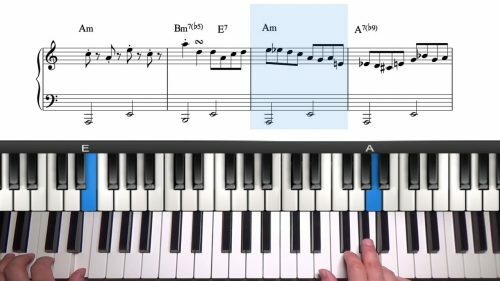 Transcription is one of the most time effective ways to learn jazz and you should incorporate transcription into your daily practice routine. There is list of F Blues records from a various different artists in the forum. Check out the link below to the transcriptions threads. 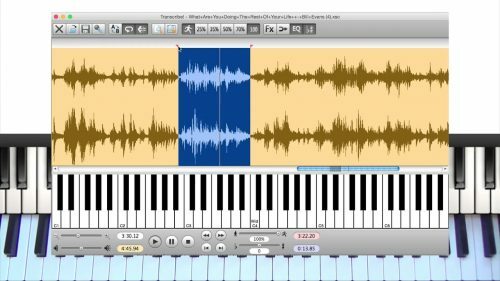 They are rated by difficulty so start with the easiest if transcription is new to you. If you listen carefully, you will hear most of the examples used in this series of lesson are in the solos of those recordings.